Early in the morning, I am walking at my little garden and take some photograph using my old mobile phone (I am using it since my lovely camera is broken ) and here is a little freebies for you to use in your CU/PU/S4H/S4O . But I should let you know before you grab this, the resolution is not pretty good, my N70 only have a 2MP camera . So there are too many noise (I need a new camera ). Hope you like it. 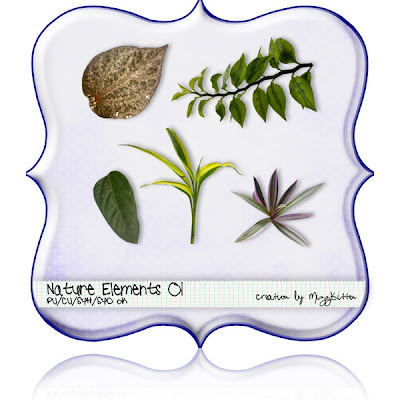 If you love to get the next part (Natural Elements 002) leave a comment here. Note : The CU Natural Elements 002 is available now. Thank you so much for this Freebie. I want to let you know that I posted a link to your blog in CBH Digital Scrapbooking Freebies, under the Page 4 post on Mar. 09, 2010. Thanks again. Thanks so much for this. I hope to see more. Hope you get a new camera. I just found your blog... love it! Cant wait to check out these cute CU freebies. Maybe you will see me more making a purchase! Thanks again. tyvm for sharing with us! CU Freebies Only Blog on Friday March 12th 2010! Thank you Meta. You are very generous to share your lovelies. Thank you for sharing, love your freebie and your blog! Thank you so much- fabulous freebie!!! thank you so very much for the wonderful elements. I do hope you get blessed with a new camera soon. thank you soo much for ALL you gift us with. Do You Want To Win? ?